In order for these character qualities and scriptures to become real to the children, they needed an example of someone who obeyed the scripture that they memorized. That's how the Tommy Story began. Situations come into Tommy's life that give him an opportunity to put into practice the verse and character quality that is taught each month. This lets the children know that scriptures are to be obeyed in their daily lives. Many do not know that the visualized verse was Ms. Kay's idea. She started the visualized verse with her WG class while they were at Leon Valley Baptist in San Antonio . The visualized verse is a great addition to the program, especially for visual learners. Also, Celebration Week was Ms. Kay's idea. 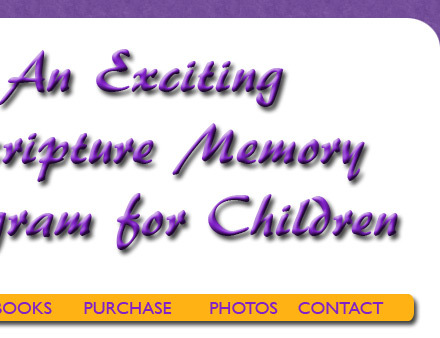 The thought is – the more the kiddos quote the verses, the deeper into their memory. This is also a great addition to the program. We must always remember that we ‘‘memorize, forget, memorize, forget, memorize, KEEP.''…Bro. Ron Hood, scripture memory expert. Gordy, the puppet, became part of the program when I heard one of the kiddos say that he didn't think he could memorize. 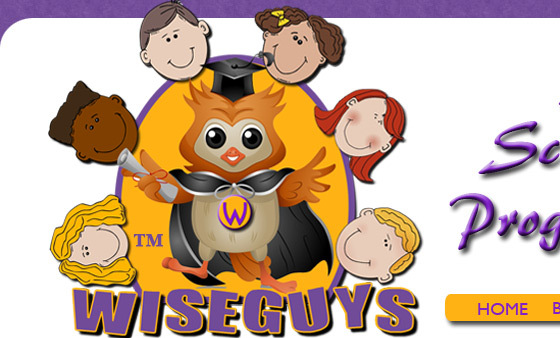 Gordy was called Gordy Goofus at school and he heard that WGs would make him wise! However, Gordy didn't really think he could memorize. His self-confidence was pretty low. The kiddos loved to watch Gordy grow as he learned to memorize. As in any ministry with children, so much depends on the commitment of parents and their belief that scripture memory is needed. God has promised that His word will not return void and that is the promise that we cling to. The battle for the minds of our children is greater than ever. May God bless this year of the WGs Scripture Memory Program and may the good Lord bless all of the faithful, dedicated, committed Teachers and Workers!